enviroCORE is a world class research centre in Sustainable Bioenvironmental Technologies in the niche areas of: Ecology and Biodiversity Studies, Phytotechnologies for Waste Treatment; Biomass Production and Plant Biotransformation; Environmental Sensors, Bio-indicators and Biosensors; Environmental Monitoring and Risk Assessment. Microbiological analysis – microbial identification, microbial ecology studies, microbiome studies, phenotypic profiling. laboratory and medium scale (20L) production of microbial cultures. Genetic studies – gene detection and quantification, genome analysis, genotyping, gene expression studies, genetic engineering, genetic tagging, bioinformatics. Plant cultivation and growth analysis. Organic and inorganic chemical analysis of samples. Soil, water and plant analysis. High through put microbial isolation and screening. Laboratory scale, greenhouse scale and field scale experiments/trials. Nematode and insect culture techniques and bioassays. Data collection, collation and Interpretation. In enviroCORE we work with both National and International research institutes, SMEs and multi-national companies to develop innovative technologies for environmental management and monitoring, remediation, sustainable agriculture and bioprocessing. Teagasc National Crops Research Centre Oakpark Carlow (Ireland). The James Hutton Institute (Scotland). Shandong Academy of Sciences (SDAS), China. University of British Colombia (Canada). Agricultural University of Athens (Greece). Merck Sharpe and Dome (Carlow). Danisco Seed Inc (Multinational, Denmark). Verde Environmental Group (Multinational, Ireland). Ocean Leaves Ltd (SME, Kilkenny). CNP Water and Environmental (SME Carlow). Inter-Euro Technology Ltd (SME, Carlow). TE Laboratories Ltd (SME, Carlow). 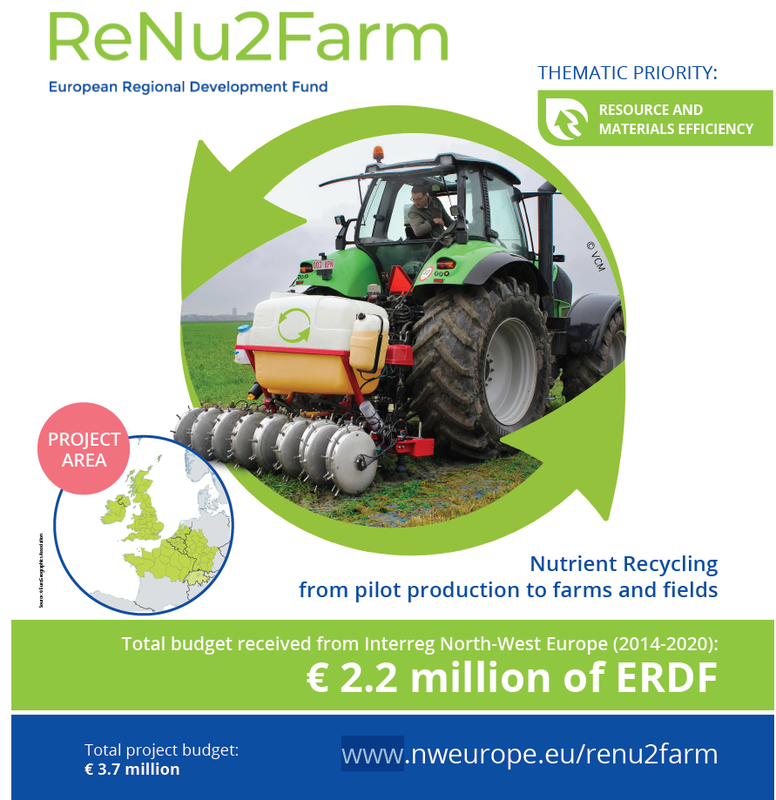 The ReNu2Farm project is designed to increase the recycling rates for the plant nutrients nitrogen (N), phosphorus (P) and potassium (K) in the primary food production chain in Northwest Europe (NWE). Up to now, farmers have essentially been using artificial fertilisers, for which the EU is heavily dependent on imports. Moreover, the production of artificial fertiliser requires large amounts of energy. Paradoxically, however, there are several regions with a nutrient surplus in NWE. There are also technologies for recovering those nutrients, but until now they have remained little-used by farmers. The project aims to increase the use of these recovered nutrients throughout Europe.